You might want to use reCAPTCHA for validating the user. reCAPTCHA is a free service which allows you to protect your website from spam. You can lock a Download Manager package using reCAPTCHA. The download will be served only when the user is verified by reCAPTCHA. 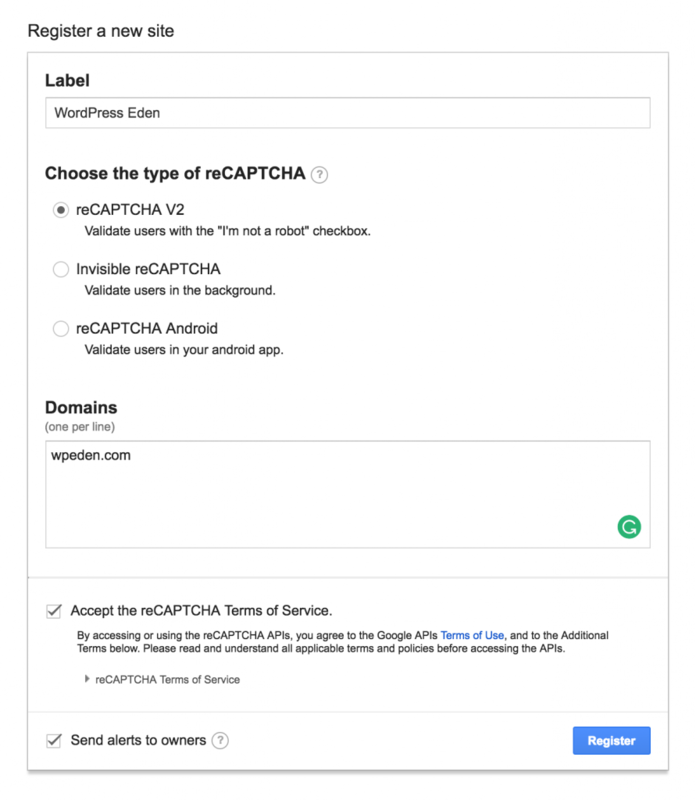 In this post, I will explain how you can enable reCAPTCHA in your downloads. Go to reCAPTCHA admin page to connect your site and generate keys for your site. You will see a form name “Register a new site”. Now put your site name or label on the text field. Select the reCAPTCHA V2. Now a new text input box will appear. You need to put valid domain name here to use reCAPTCHA. Then check on TOS and hit Register. 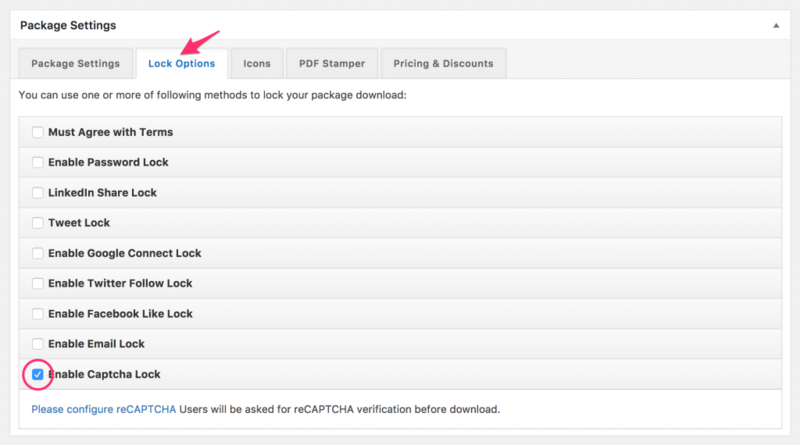 Now you can enable the captcha lock from the Package Settings >> Lock Options, just select the checkbox of Enable Captcha Lock and save the package. Now, the user must verify the captcha to download the package.